Driving Lessons in Leeds, Driving Schools in Leeds, Driving Instructors in Leeds. Driving Lessons in Leeds and the surrounding areas. Pass Plus is a course that is taken within a year of passing the practical driving test and involves a minimum of 6 lessons covering specific subjects listed below. You can only receive pass plus lessons from pass plus registered, fully qualified driving instructors. I am registered with the scheme, so if you were interested in taking the course then please let me know using the contact details at the bottom of the page. 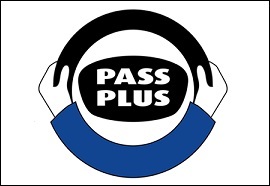 For further information on how the Pass Plus course works please click on the Pass Plus icon above. Providing competitively priced and top quality driving lessons in Leeds| Aberford|Allerton Bywater| Barwick in Elmet| Colton| Crossgates| Fairburn| Garforth| Halton| Kippax| Ledsham| Ledston| Micklefield| Rothwell| Roundhay| Scholes| Seacroft| Swillington| Whitkirk| Woodlesford.